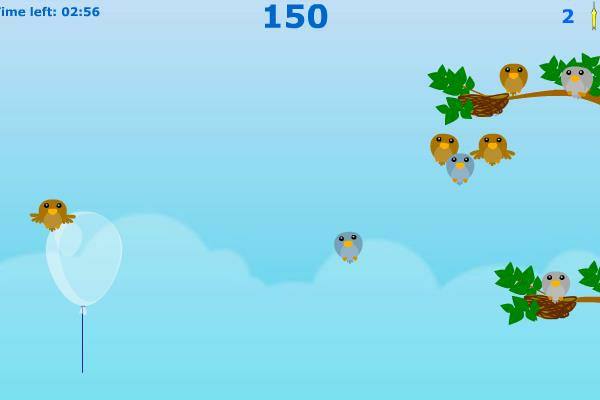 Little Cute Birds First Flight Skill Game on Go Play for Free. Safe the cute young birds from falling down on their first flight ever. It is a fun and challenging skill game where you need to bounce the young birds to to left side so they will safely land on the balloons.